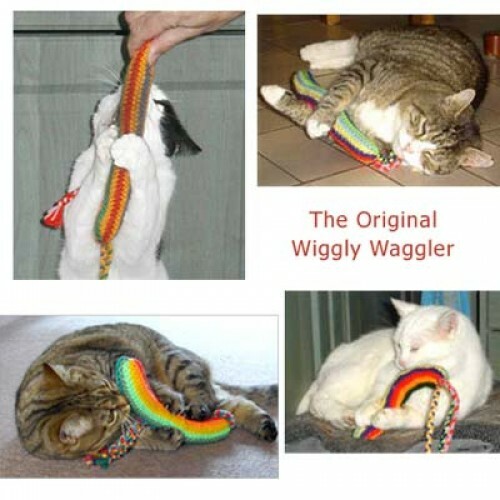 >> WIGGLY WAGGLER Catnip Toy - BEST SELLER! The Body is approx. 27cm (11 inches) long with potent catnip within the stuffing and three plaited tails at one end (tails are approx 25cm long). 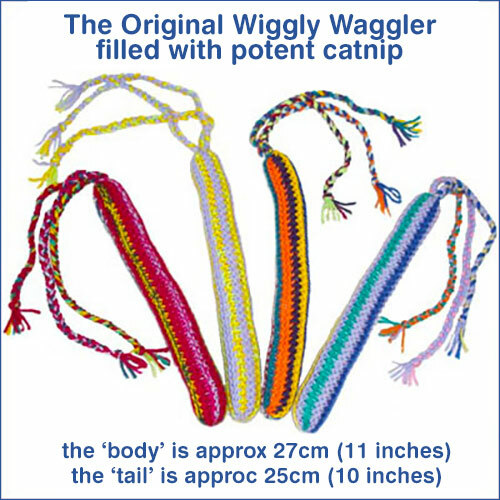 Wagglers are made with double thickness, double knitting wool - virtually indestructible - all hand made by our friends at Cosy Cats. Grrrrrreat inter-active fun for you and your Puss or for them to play by themselves, just squeeze the body of the toy to release the aroma of the herb. 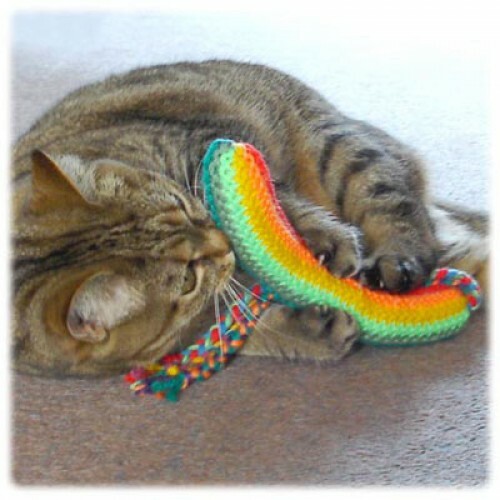 Wagglers can last for years, and fresh catnip can be rubbed into the wool later to revitalize it, so why not buy a `Kong 56g Premium Catnip Tub` on the shop while you are here! We haven't heard of a cat yet who didn't love their Waggler - check out the video of Tango (above)! 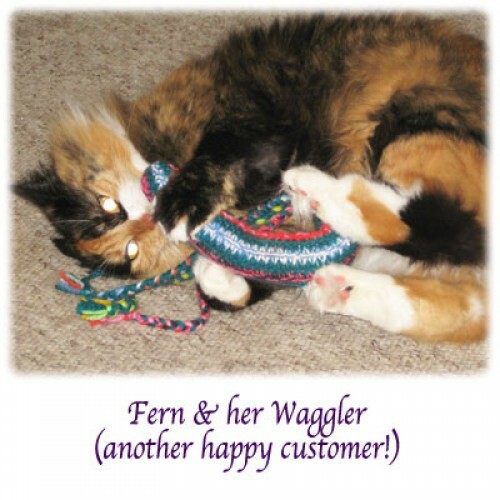 EVERY PURCHASE HELPS MORE CATS OUT OF SHELTERS… INTO HOMES - THANK YOU!